I wrote this quite a while ago, but the timing for re-visiting the Empress couldn’t be better. Climate change is in the news. Global warming is real and it is caused by human activity. 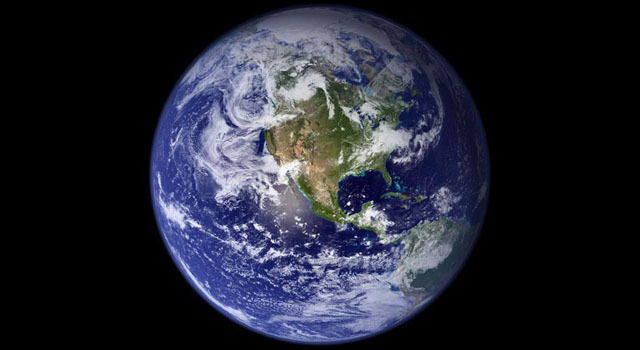 We are fracturing our only home, and burning resources (oil and coal) that can never in all of time and space be replaced. I know this is a bit of a soapbox statement, but Tarot and Tarot readers don’t live in a vacuum. Tarot actually applies to real life. The message of the Empress is vitally important as we must ACT to preserve the one place in the universe we can survive. If we found another earth-like planet today, we don’t have the technology to get there. Despite all the sci fi, we don’t have the time or technology to hop over to Mars and terraform it to meet our needs. We must ACT and act now to save ourselves. To deny the problem is genocide…ignoring environmental concerns is putting ourselves and our children directly in harms way…and putting humans at the risk of extinction. No exaggeration. Don’t believe me? Listen to the Empress. Listen to your own inner sense of truth. Listen with your heart to the Earth. This is #4 in a series of posts looking at the Major Arcana Tarot Cards. The major arcana portion of the tarot deck is believed to speak about the greatest challenges and lessons in our life path. Not only to they give advice, cautions, validations and more…they speak to places where we need greater balance. These balance points are places where much wisdom and self-knowledge is required. These facets of wisdom are some of the most potent and essential lessons in life, and part of why the major arcana are given a special emphasis in the deck. The High Priestess contrasts the sacred and the ordinary. 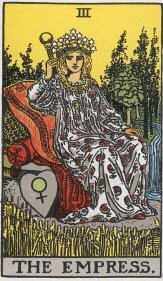 Today the Empress is a card of nature …knowing our nature, respecting our inner nature and our outer natural world. At first I wanted to call this “nature vs nurture”. I never did care for that old argument. Both sides seem to be wrong. Both seem to imply that we are puppets of our past, pawns of either our genetic make-up or our upbringing. I see it otherwise. I see it as moment by moment choice…we can choose to be self indulgent in the name of being “true to our nature” or we can choose compassion (which is also part of nature). We can choose the compassionate part of our overall human nature as easily as we choose the criminal. It isn’t nature vs nurture. It is nature vs the forced and artifial. It is genuine vs delusion. It is wisdom vs ethical blindness. As we have seen with pollution, energy crisis, and more…not all of science and civilization is good. Not all of nature is bad…balance, as always, is the key. Nature can be the cosmos, the natural world. It can also mean our nature…our personality, or make-up, who and how we are. If we are true to the better parts of ourselves, it becomes easier to set aside our selfish concerns at times. Knowing when to indulge our needs and when to act ‘civilized’ takes maturity and wisdom. It requires a sort of internal leadership…like the leadership of a kind and wise empress. An empress also has power and control…a nod to the power of mother nature, the power of wisdom and compassionate lives. Constantly disregarding nature in favor of selfish technologies results in pollution, global warming, and more. Indulging in nature alone, and we lose the leisure time that gives us the wonder of global communication, art, science and such that are equal parts of our human nature. If we suppress our loving nature, we are miserable. If we indulge our violent, selfish or impulsive natures, we become criminal. The balance of self and others, the balance of wild vs civilised, the balance of self-love vs love of others, the balance inherant in nature itself. May the wisdom and beauty of nature be yours.